The critically acclaimed adventure of Uru: Ages Beyond Myst returns with this special collection that contains more Uru than ever before. Already the deepest Myst adventure to date, Uru is significantly expanded with the addition of To D'ni™ and The Path of the Shell, expansion packs that will take Uru beyond your imagination. 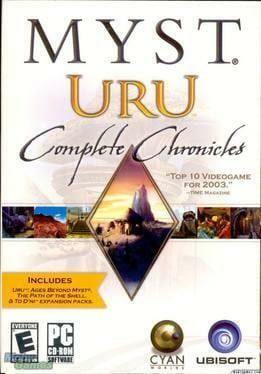 URU: Complete Chronicles is available from 8.99 to 9.99 from 1 shops.